Khajjiar is a small town located near Dalhousie in Himachal Pradesh It is the same place that is referred as the “mini – Switzerland of India” because of its picturesque beauty that has a perfect blend of forests, lakes, and pastures. The beauty of this place has been taken as an inspiration by many kingdoms in the olden times, including the Rajputs and Mughals. It is located at an altitude of 6,500 feet and the view from here is bound to leave an everlasting imprint on your mind. 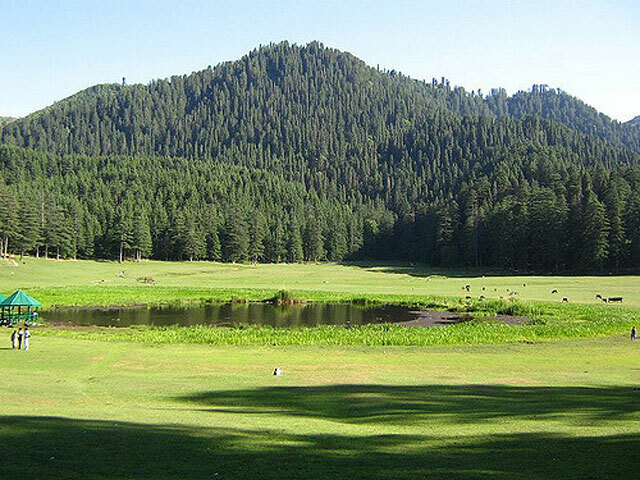 Khajjiar is known for a number of things, one of them being the nine – hole golf – course which is located in the middle of all the greenery. It is also known for its dense forests and beautifully made temples. A number of adventurous activities are offered here, including paragliding, horse riding, and zorbing and trekking. Listed below are some of the places one must not miss if in Kajjiar. 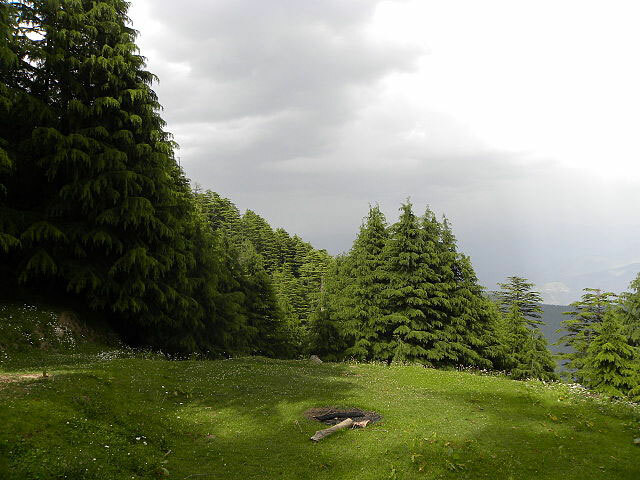 This spot can be reached through the Bakrota Hills from Dalhousie. The Khajjiar Lake and Ground is an ideal place for photography and has been used as a back drop in many movies. This lake has an association with the Snake God temple, i.e., the Khajji Nag temple, therefore, it is considered sacred. This is a perennial lake that is fed by a number of tiny water streams. This lake covers an area of about 5000 sq. yards. Clusters of grass and weeds that grew on the surface of the lake make it look like it has floating islands and somehow, it is the best part of the lake. The area around the lake is a perfect picnic spot. Glimpses of Mount Kailash are visible on clear days from the Khajjiar ground. 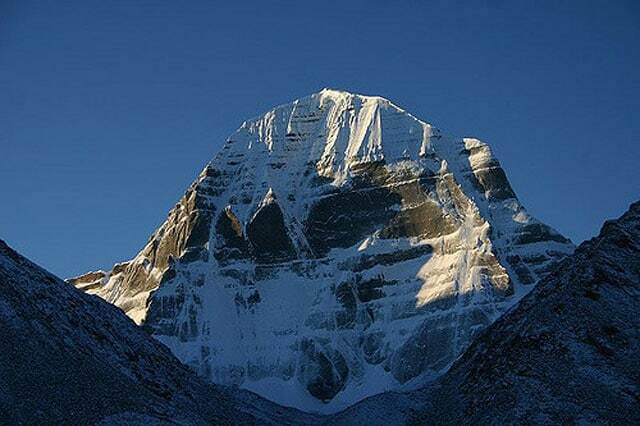 Legends have it that Mount Kailash is Lord Shiva’s home. Lord Shiva is the main God worshipped in Himachal Pradesh and therefore this mountain is a very sacred spot for these people. This temple seems to be as old as 12th century AD. The idom “old is gold” stands true here as this is the holiest and the most important temple in the lives of the people of Himachal Pradesh. The main deity in this temple is that of Khajji Nag, who is said to be the Lord of the Serpents. The temple has a ‘mandapa’ (designs made on the ceiling in a circular pattern) with hanging images of Pandavas along with the defeated Kauravas. Wood was used to make the chamber of this temple. According to the researches, it is believed that the construction of this temple began in the 10th century AD. The architecture style of this temple is a blend of both Hindu and Muslim style. This temple is visited by the devotees quite regularly. Panch Pandav tree is situated in the ground of Khajjiar. Known for its shoots, the main roots and the shoots are seen to be the same. Six shoots come branching out of the tree. According to the locals, out of the six shoots, one stands for Draupadi while the rest of the five symbolize the Five Pandavas. In these forests, shoots are a common thing. A deodar tree has 13 shoots of standard height! This tree is called the “Mother Tree” of the region. Khalatop Wildlife Sanctuary is surrounded with oak trees and coniferous trees. It stretches oven an area of about 19.63 km. Deer, serow, jackal, leopard, black bear, wild cats, Himalayan black marten and many other such species reside in this sanctuary. This wildlife sanctuary is even a home to many endangered species of animals and birds. It stretches between Dalhousie and Khajjiar. A visit to Khajjiar is incomplete without a visit to this sanctuary. Though Khajjiar can be visited throughout the year, it is advisable to not go here during the winters. The road to Khajjiar might be blocked with snow. However, if spine chilling weather is your fancy, it would be a good experience for you.